If we were to ask people who have no traditional Jewish or Christian backgrounds, "Why should someone study the Old Testament?" their answers would probably go in two basic directions. The more positive responses might be something like, "The Old Testament is an old book, but we should study it because there are still some things that are good for us today." And the more negative responses would be something like, "Actually, the Old Testament is so old and irrelevant that it isn't worth reading at all." Well, when faithful Christians hear others express these kinds of outlooks on the Old Testament, we instinctively shrink back in dismay. As followers of Christ, we believe that the Old Testament is the Word of God; it is sacred Scripture that God inspired. So we easily wonder, how can people talk that way about the Bible? But as surprising as it may sound at first, even when we ask Christians, "Why should a person study the Old Testament?" many of us sound just like unbelievers. At best we say, "We should study the Old Testament today because there are a few things in it that are still good for us today," and at worst, even some Christians will say, "Well, to be honest the Old Testament is so old and irrelevant that it isn't worth reading at all." This lesson is the first in a series of lessons that will survey the entire Old Testament. We have entitled this series, Kingdom, Covenants and Canon of the Old Testament . 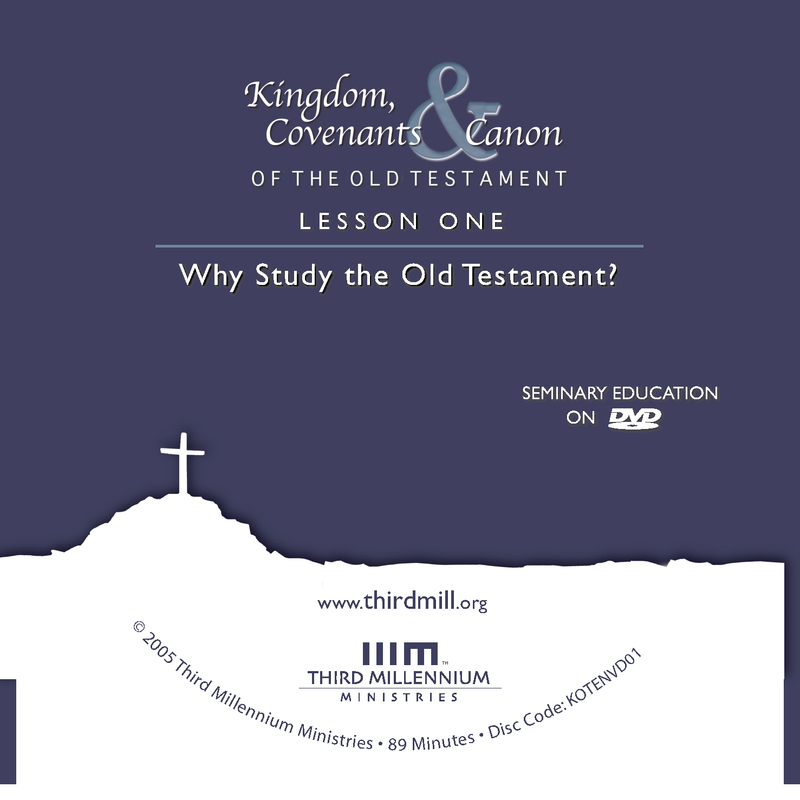 As this series title suggests, in these lessons we will focus on three crucial dimensions of the Old Testament: we will see that the Old Testament is a book unified around the central theme of God's kingdom; that this kingdom was administered historically through covenants God made with his people; and that through the Old Testament canon these covenants were applied to the specific needs of God's people at particular times and places. We have entitled this lesson, "Why Study the Old Testament?" Before we address the kingdom, covenants and canons of the Old Testament directly, we will spend this first lesson focusing on a preliminary issue — the importance and relevance of the Old Testament. The fact is that many well-meaning Christians simply do not believe that the Old Testament deserves careful study. In this lesson we will look at three reasons why it is important to learn about the Old Testament. First, we will see that the distance dividing the Old Testament from us makes the Old Testament difficult to study; second, we will investigate the relevance we should expect the Old Testament to have for our day; and third, we will explore some ways we can learn to apply the Old Testament to our own lives in the modern world. Let's begin with a look at the fact that the Old Testament often seems so distant to us. Through the years I have found that many students go through a similar, almost predictable process, as they study the Old Testament. In childhood, or when we first become believers, we are told that the Old Testament is the infallibly inspired word of God, and in light of this, many of us conclude that the Old Testament only contains teachings that are easily applied to the Christian life. Now, so long as we only talk about broad topics like the holiness of God, the hopes of Israel, or the commandments like, "You shall not steal" or "You shall not murder," we feel as if we are in familiar territory. But something happens when we begin to study the Old Testament more seriously. When we delve into it more deeply, we find that many parts of the Old Testament present matters that are not familiar at all. In fact, the more we read it, the more it becomes difficult to feel at home in the Old Testament; for many of us it feels much more like a strange and distant land. As we explore why the Old Testament often seems so distant, it will help to focus on two topics: first, the causes of this distance, what makes the Old Testament seem so foreign; and second, the kinds of distance we encounter, the types of foreign things we find in the Old Testament. Let's look first at some of the main reasons why we often sense great distance between ourselves and the Old Testament. Unbelievers have all kinds of reasons for claiming that the Old Testament is foreign to modern people. Some of their assessments are legitimate, supported by the facts, but many of their views result simply from their disbelief. Unbelievers lack saving faith, and this causes them to exaggerate how strange the Old Testament is. When you don't believe in God, a book that talks a lot about God will certainly seem very strange. And when you don't believe in Christ, a book that prepared God's people for Christ will also seem quite foreign. So, it should not surprise us at all to hear unbelievers say that the Old Testament seems very distant from modern life. But what about believers? We believe in the God of Scripture; we follow Christ. Why do we sense distance between ourselves and the Old Testament? At least two features of the Old Testament often cause us to view it as foreign land. On the one hand, God gave the Old Testament to humanity through a process known as organic inspiration. And on the other hand, God designed the Old Testament to fulfill its purpose through a process known as divine accommodation. These two features, organic inspiration and divine accommodation, cause much of the distance we feel. Let's think first about the process of organic inspiration. We often call the historic evangelical Christian view of divine inspiration of Scripture "organic inspiration." We use this terminology to indicate that the Holy Spirit employed the personalities, experiences and intentions of the original human writers in composing the Bible. That is to say, under the special guidance of the Holy Spirit, the human authors themselves determined what to write. The Bible did not result from mechanical inspiration where God used human writers as passive conduits of information; nor was the Bible romantically inspired as if God merely motivated the biblical writers to say lofty religious things. Instead, God meticulously controlled the content of Scripture so that it is without error and may rightly be called the Word of God. But he did so through a process that relied upon and reflected the individual personalities and purposes of the human writers. Bear in mind that our Lord's patience means salvation, just as our dear brother Paul also wrote you with the wisdom that God gave him. He writes the same way in all his letters, speaking in them of these matters. His letters contain some things that are hard to understand, which ignorant and unstable people distort, as they do the other Scriptures, to their own destruction (2 Peter 3:15-16). In these verses, the apostle Peter confirmed that the letters of Paul were written with the wisdom that God had given to Paul. In other words, God's Spirit inspired Paul's letters so that they were not mere human writings, but writings from God. Yet, Peter also affirmed that Paul's personality came through these epistles. Notice how he put it: "Paul wrote with the wisdom God gave him." These Scriptures were still Paul's letters. We can see, then, that from Peter's point of view the apostle Paul's letters resulted from a process involving both God and the human writer. This same outlook is true of the Old Testament as well. This is why the Old Testament law is not only called the law of God, but also the law of Moses. It came from God, but through Moses. This is also why many Psalms are called Psalms of David. Although God was the ultimate author of the Old Testament, he employed holy men to write these books, and they did so in ways that reflected their personalities, intentions, and situations. When you think about it, it isn't hard to see that the Bible's human authorship distances us from the Old Testament. All the writers of the Old Testament were ancient people. They all lived in the world of the Ancient Near East, and they thought and wrote like people in those days. In much the same way, because they wrote before the coming of Christ, Old Testament writers did not have fully developed Christian theology, as we do today. And as a result, when you and I study the Old Testament, we soon begin to see that the world of the Old Testament is very different from the modern world. And for this reason the Old Testament often seems foreign and unfamiliar. In addition to the difficulties created by the organic inspiration of biblical writers, we should recognize that divine accommodation also distances us from the Old Testament. "For my thoughts are not your thoughts, neither are your ways my ways," declares the Lord. "As the heavens are higher than the earth, so are my ways higher than your ways and my thoughts than your thoughts" (Isaiah 55:8-9). God is so transcendent — he so infinitely exceeds our limitations — that every revelation he has ever made has been accommodated to human capacities so that at least some of us could understand and follow what he revealed. Now, it is important to realize that in the Old Testament God did not accommodate himself simply to humanity in general. He spoke human language in ways that finite human beings could understand. But he also designed the Old Testament for specific historical situations that the Jewish people living in the Ancient Near East encountered. He designed the Scriptures to be understood, in the first place, by ancient Israelites. Because the primary audience of the Old Testament was ancient Jews, God had the Old Testament written in ancient Hebrew and Aramaic. God gave the Ten Commandments on stones because this was an international standard for the way important documents were written. And, the literary styles of narrative, poetry, wisdom literature, and law that we find in the Old Testament followed those of the Ancient Near East so that God's people back then could understand what he said to them. For this reason, as you and I study the Old Testament, we constantly encounter the reality that it was written for people who were very different from us. It was specifically written to accord with the abilities and needs of the ancient people of Israel. So, we may say that the Old Testament Scriptures often seem like foreign territory to you and me because they were both organically inspired and accommodated to the original Israelite recipients. Old Testament writers and audiences lived in ancient times that were very different from our day. For this reason, we often sense great distance between ourselves and the Old Testament. Now that we have seen two reasons for the Old Testament's distance, we should turn to our second subject: the kinds or types of distance we find between ourselves and the Old Testament. What kinds of things do we encounter in the Old Testament that seem strange to us? Needless to say, we cannot count all the ways the Old Testament seems foreign to us, but it will serve our purposes to think in terms of three basic kinds of distance between us and the Old Testament: first, theological distance, the differences between what we believe as New Testament Christians and the theological perspectives set forth in the Old Testament; second, cultural distance, the differences between our modern cultures and the distinctively Ancient Near Eastern cultural outlooks that we find in the Old Testament; and third, personal distance, the differences between you and me as people and the people associated with the Old Testament. Now, we should all realize that theological, cultural and personal dimensions of life cannot be utterly separated from each other; they are deeply entwined and influence each other in countless ways. This was true in the days of the Old Testament, just as it is true in our own day. So, approaching these matters in terms of three distinct types of distance will be somewhat artificial. Nevertheless, it will still help us to work through each of these matters independently. Let's look first, then, at the theological distance we encounter when we study the Old Testament. One of the most obvious obstacles to studying the Old Testament is the gap we feel between the theology of the Old Testament and our New Testament Christian theology. When we speak of theological distance, we are thinking primarily of the historical difference between the revelation that the writers of the Old Testament possessed and the fuller revelation that Christians possess. We have in mind the fact that the Old Testament teaches many things about God and our relationship with him that appear, well at least at first glance, to be very different from what we learn from the New Testament. Every Christian who reads the Old Testament realizes at some point or another that the Old Testament presents theological viewpoints that do not appear to correspond with the New Testament. Think about some examples of these theological differences. For example, God called Abraham to sacrifice his son. But what would we think about someone today who told us that God had called him to sacrifice his son? We wouldn't even begin to take such a theological claim seriously. And in the days of Moses, God expected his faithful people to seek their salvation by marching from Egypt to a Promised Land. But we would certainly think it strange if we found a group of Christians literally marching through the wilderness to gain salvation. In the Old Testament we also read of men devoting themselves to God's service by making Nazirite vows not to cut their hair; but it certainly seems strange to us that God was so pleased with such vows. Or consider the fact that in the Old Testament, God ordained the temple as the only place where his people were to worship, under pain of death. But today we believe strongly that people can rightly worship God anywhere and at any time. Back then, God required his people to sacrifice animals as atonement for sins. Today we consider such rituals to be acts of animal cruelty, and insulting to the sacrifice of Jesus Christ. In the Old Testament, God commanded the wholesale destruction of Canaanite cities, including women and children. But we cannot imagine such things being approved by God in modern war. Aren't we all a bit puzzled that the Old Testament calls us to believe that God did such things when it appears so different from the New Testament? The list of such theological differences goes on and on. Whatever else we may say, there is certainly great theological distance between us and the Old Testament. In addition to the theological distance we see between the Old Testament and New Testament, the Old Testament also appears to be like a distant land because of the cultural differences between the Ancient Near East and our modern world. When we speak of the cultural differences between us and the Old Testament, we have in mind dimensions of life for the characters, original writers and recipients of the Old Testament that were characteristic of the cultures in which they lived. We feel cultural distance between ourselves and the Old Testament every time we read about or imagine life in the ancient world, whether in Israel, Canaan, Egypt, Assyria, Babylon, or the many other cultures of the past. The people we encounter in the Old Testament had countless cultural assumptions, values and practices, just like we do today. But those expectations, customs and practices were different from our own because of the times and places in which they lived. Cultural distance occurs because human society is constantly changing. Social structures shift; older customs seem odd in many ways. Can you imagine visiting your own culture just two hundred years ago? For many of us, the differences would make us feel very uncomfortable. We'd have to spend a lot of time adjusting. Now, if this is true of such a short passing of time in our own nations, how much more should we expect to find cultural differences between ourselves and the world of the Old Testament? So many differences exist between the Ancient Near East and our modern world that many things we read in the Old Testament are strikingly unfamiliar. Consider just a few examples of the cultural dimensions of the Old Testament that make us feel distant from it. On a mundane level, the Old Testament world was largely an agrarian world. We read about farming and fishing throughout the Old Testament, but many modern urban people hardly understand the basic processes that went into this ancient lifestyle. We read about arranged marriages in the Old Testament, and many modern people wonder how young couples tolerated such customs. We learn that biblical figures practiced polygamy and we find our ideals of monogamy challenged. We find slavery in the Old Testament and we're perplexed by this custom. We also find in the pages of the Old Testament that their culture was dominated by a social structure known as imperialism. To be a part of a prominent empire was considered to be the ideal social structure of nearly every Ancient Near Eastern culture, including Israel. They knew practically nothing of our modern democratic ideals. When we see these and similar features of Old Testament life, we are often left wondering how to handle them. What are we to do with a Bible that is so deeply embedded in a cultural milieu so different from our own? When we read the Old Testament, these and many other cultural differences also cause us to sense an enormous gap between ourselves and the Old Testament. In addition to the theological and cultural distances that exist between ourselves and the Old Testament, there is a third kind of distance: personal distance. When we speak of personal distance or differences, we are referring to the fact that people who lived in the days of the Old Testament were different from modern people in many ways, and the gaps between us and them often involve very personal, human considerations. Of course, the people of the Old Testament were not entirely different from us. As we will see later in this lesson, we can identify with them in a number of important ways. But in many other ways, they had a strikingly different mentality from our own. And this should not be surprising. After all, their dispositions grew out of the theological and cultural world in which they lived. Consider, on the one hand, that many people in the Old Testament had remarkable spiritual experiences unlike any that we experience today. They had visions of heaven, and heard the audible voice of God. They physically wrestled with heavenly beings. Now stop for a moment and ask yourself this question. How would you be different if you had such spiritual experiences? What kind of person would you be if you had divinely inspired visions, auditions, and wrestling matches with heavenly beings? I think we realize that we would be utterly transformed if we had such experiences today. Realizing this should help us see that we are very different from the people of the Old Testament who had such experiences of God. On the other hand, consider what kinds of people we are because of cultural influences on us. In the Old Testament people filled some cultural roles that are very strange to us. They were kings, queens, peasants, slaves. Old Testament people endured the horrors of ancient warfare, and the threats of famines and plagues. We read about a young boy standing boldly in battle before a giant; a young woman who led an army into battle. We hear the desperate cries of slaves in Egypt. Very few of us today face these kinds of situations, and as a result we have a hard time understanding how people think and feel when they undergo experiences like these. So, as we begin this study we should be ready to admit that the Old Testament will seem very distant from us in many different ways. This part of the Bible was not written in our modern world, and as a result, time and again we will encounter many theological, cultural and personal differences between ourselves and the Old Testament. Now that we have seen the causes and types of distance we feel between ourselves and the Old Testament, we should turn to a second topic: what relevance does the Old Testament have for our lives? Why should we expect such a distant book to have anything worthwhile to say to us today? Well, there are many answers to this question, but without a doubt, the most important response is that we must still expect the Old Testament to be important for our lives because the New Testament teaches us that it is. Sadly, if ever a teaching of the New Testament has been misunderstood in our day, it is this one. Far too many Christians read the New Testament as if it teaches that the Old Testament is passé, as if the New Testament has done away with our need for the Old Testament. But in reality the New Testament says just the opposite; as we will see it tells us that the Old Testament is absolutely essential for Christian living. Full life in Christ simply cannot be accomplished unless we draw guidance from the Old Testament. There are many ways in which the New Testament teaches us that the Old Testament is relevant for our lives today, but we will focus on just two: first, we will look at the teachings of Jesus; and second, we will consider the teachings of the apostle Paul. Let's think first about what Jesus had to say about the relevance of the Old Testament. To gain a balanced view of what Jesus taught about the importance of the Old Testament for us today, we will look briefly into two aspects of Jesus' teaching: first, his apparently negative comments about the Old Testament and second, his positive affirmations of the Old Testament's relevance. Let's look first at some of the teachings of Jesus that appear at first glance to present a negative view of the Old Testament. You have heard that it was said to people long ago, "Do not murder, and anyone who murders will be subject to judgment." But I tell you that anyone who is angry with his brother will be subject to judgment (Matthew 5:21-22). You have heard that it was said, "Do not commit adultery." But I tell you that anyone who looks at a woman lustfully has already committed adultery with her in his heart (Matthew 5:27-28). It has been said, "Anyone who divorces his wife must give her a certificate of divorce." But I tell you that anyone who divorces his wife, except for marital unfaithfulness, causes her to become an adulteress, and anyone who marries the divorced woman commits adultery (Matthew 5:31-32). Again, you have heard that it was said to the people long ago, "Do not break your oath, but keep the oaths you have made to the Lord." But I tell you, Do not swear at all (Matthew 5:33-34). You have heard that it was said, "Eye for eye, and tooth for tooth." But I tell you, Do not resist an evil person. If someone strikes you on the right cheek, turn to him the other also (Matthew 5:38-39). You have heard that it was said, "Love your neighbor and hate your enemy." But I tell you: Love your enemies and pray for those who persecute you (Matthew 5:43-44). Now, all followers of Christ should agree that Jesus is God's supreme revelation and that his teachings were much fuller than the teachings of the Old Testament. He penetrated to the heart and expanded to the farthest horizons in ways that the Old Testament never reached. But unfortunately, many Christians have understood these verses to teach that Jesus' views on murder, adultery, divorce, oaths, revenge and love for enemies actually contradicted the teachings of the Old Testament. Their reasoning usually goes something like this: they say that the Old Testament taught that physical murder is wrong, but that Jesus turned attention to the heart full of hatred. The Old Testament forbade physical adultery, but Jesus went further to talk about adultery of the heart. Regarding divorce, many believe that the Old Testament permitted divorce for a broad range of reasons, whereas Jesus disagreed with this Old Testament teaching and insisted on sexual immorality as the only grounds for divorce. Regarding oaths, they argue that the Old Testament said not to break an oath, but that Jesus instructed his followers never to take oaths. These same interpreters often believe that the Old Testament endorsed a practice of personal revenge — "an eye for an eye" — but that Jesus taught that we should forgive. They assume that the Old Testament taught love for neighbors and hatred for enemies, but Jesus expanded the command to love enemies as well. Now if these popular understandings of Jesus' teachings are anywhere near the truth, then we have good reason for thinking that Jesus came to free his followers from the ethical authority of the Old Testament. But when we reflect more closely on what Jesus actually said in Matthew 5 we soon discover that this outlook is far from adequate. Although Jesus' revelation is greater than that of the Old Testament, he did not in any way contradict the teachings of the Old Testament. Rather, his intention was to affirm the Old Testament by refuting some common misunderstandings of its teachings. To understand Jesus properly, we need to see that in Matthew 5 Jesus was not disagreeing with the Old Testament itself. Instead, he objected to the ways that the scribes and Pharisees interpreted the Old Testament. In the days of Jesus, few people actually had direct access to the Bible, and for this reason, ordinary people in Israel relied heavily on the teachings of their religious leaders. As we will see, when Jesus set up the contrasts in Matthew 5 that we have just read, he contrasted his own views, which were in harmony with the Old Testament, with the traditions that the scribes and Pharisees had added to the Old Testament. A number of details prove that this was the case. First, we should notice that Jesus dealt with things that had been said and heard. In other words, he was concerned with oral traditions rather than with the Old Testament itself. When Jesus and other New Testament figures referred to the Old Testament, they spoke of what was "written" or "read." And nowhere in the New Testament does Jesus refute anything introduced in that manner. But in the Sermon on the Mount, he objected to what had been "said" to the people, he objected to what they had "heard." To put it simply, Jesus contrasted what the scribes and Pharisees were saying with what he was saying. Jesus was not disagreeing with what was written in the Old Testament, but with the oral traditions perpetuated by other teachers in Israel. That is why he kept referring to what was said rather than to what was written. How good and pleasant it is when brothers [dwell] together in unity! (Psalm 133:1). Popular traditions in Jesus' day excused discord so long as it did not lead to physical murder. In contrast, Jesus refuted this false teaching by reasserting the actual standards of the Old Testament. And he did so by associating the prohibition against murder with the prohibition against hatred. You shall not covet your neighbor's wife, or his manservant or maidservant, his ox or donkey, or anything that belongs to your neighbor (Exodus 20:17). The tenth commandment explicitly prohibited coveting someone's wife. So, we see that Jesus' argument was not a denial of Old Testament law, but a reassertion of Old Testament law. "I hate divorce," says the Lord God of Israel (Malachi 2:16). In Matthew 19:3-9 Jesus described his position on divorce in more detail, and there he made it clear that his opposition to divorce was based on the Old Testament itself, particularly on the creation narrative involving Adam and Eve. There are six things the Lord hates, seven that are detestable to him: haughty eyes, a lying tongue… (Proverbs 6:16-17). Simply let your "Yes" be "Yes," and your "No," "No" (Matthew 5:37). Jesus did not disagree with the Old Testament, but showed that the oral traditions of the scribes and Pharisees fell short of Old Testament standards. Do not seek revenge or bear a grudge against one of your people… I am the Lord (Leviticus 19:18). In Jesus' day "an eye for an eye" had been taken as God's approval of personal revenge. It was believed that every time anyone did anything to you, you had a right to do something equally harmful back to him. But Jesus disagreed with this perversion of the law and affirmed the Old Testament teaching that we are to show kindness in interpersonal relationships. If you come across your enemy's ox or donkey wandering off, be sure to take it back to him (Exodus 23:4). So, once again, Jesus did not contrast his own views with those of the Old Testament. Instead, he opposed the false interpretations of his day and reasserted the true teachings of the Old Testament. We seriously misunderstand Jesus' teaching if we imagine that he taught anything against the Old Testament itself. Now, as we will see, Jesus often revealed where the Old Testament had been heading, and he explained the beliefs and practices it had anticipated, and in this sense his teachings went well beyond the teaching of the Old Testament revealing more of the character of God and his will to his people. But Jesus never opposed the Old Testament or its teachings. On the contrary, he opposed false interpretations of the Old Testament. Having seen that Jesus' apparently negative comments about the Old Testament were actually affirmations of it, we should turn to those passages in which Jesus' affirmation of the Old Testament's authority and relevance for his followers are relatively easy to see. In general terms, there are many ways we can see Christ's positive outlook on the Old Testament Scriptures. For instance, he constantly referred to them as the basis of his own teachings; he displayed his glory on the Mount of Transfiguration standing between Moses, the lawgiver, and Elijah the head of the prophets; and throughout his life, Jesus committed his entire heart to obeying all the teachings of the Old Testament. Do not think that I came to abolish the Law or the Prophets; I did not come to abolish but to fulfill. For truly I say to you, until heaven and earth pass away, not the smallest letter or stroke shall pass from the Law until all is accomplished (Matthew 5:17-18, NASB). Here Jesus stated quite forcefully that he did not come to do away with the Law or the Prophets. He insisted that every detail of the Old Testament, down to the smallest letter or stroke, will remain in force until the end of all things. Anyone who breaks one of the least of these commandments and teaches others to do the same will be called least in the kingdom of heaven, but whoever practices and teaches these commands will be called great in the kingdom of heaven (Matthew 5:19). Notice what Jesus said here. If people fail to keep, or if they encourage others to ignore, even the least of the commandments, they will be least in the kingdom of heaven. Jesus knew that the scribes and Pharisees were very selective in their approach to the Old Testament. So, he insisted that his disciples affirm and follow every detail of the entire Old Testament, not just selected parts of it. Christ expected his faithful followers to submit to every detail of Old Testament Scriptures. Now, we should all admit that Jesus' words here raise all kinds of practical questions. What does it mean in the modern world to submit to the teachings of the Old Testament? How are Christians to observe the commandments of the Old Testament, even the least of them, today? These are important questions that we will be addressing in this series of lessons, but at this point it must suffice for us simply to insist on the basic principle that Jesus taught so plainly. Jesus called his followers to receive the Old Testament as God's authoritative word. They were not to reject it as irrelevant; rather they were to learn and obey every dimension of it. Now that we have seen how Jesus taught us to expect the Old Testament to be relevant for Christian living, we should turn briefly to the witness of the apostle Paul. To understand his endorsement of the Old Testament, we'll explore his comments on the Old Testament in the same way that we investigated Jesus' words. First, we will address Paul's apparently negative comments about Old Testament law, and second, we will reflect on his positive affirmations of the relevance of the Old Testament. Let's consider first some of Paul's apparently negative assessments of the Old Testament. You foolish Galatians! Who has bewitched you? Before your very eyes Jesus Christ was clearly portrayed as crucified. I would like to learn just one thing from you: Did you receive the Spirit by observing the law, or by believing what you heard? Are you so foolish? After beginning with the Spirit, are you now trying to attain your goal by human effort? Have you suffered so much for nothing — if it really was for nothing? Does God give you his Spirit and work miracles among you because you observe the law, or because you believe what you have heard? (Galatians 3:1-5). Now we should readily admit that Paul believed that Christ had revealed more of God and his will than the Old Testament had. He believed that New Testament faith was fuller revelation. But often, well-meaning Christians read passages like this one and think that Paul believed the Old Testament was irrelevant. But in reality, Paul did not deny the relevance of the Old Testament; he simply objected to the misuse of the Old Testament. Specifically, in verse 2, Paul asked if the Galatians had received the Holy Spirit by Old Testament law or by faith. In verse 3 he asked about their reliance. Would they begin to rely on human effort after having begun with the Spirit? And in verse 5 he asked if the Spirit's miracles came because they observed the law or because they believed the gospel. In each case, Paul's point was that the blessings of the Christian faith come not through observing the law but through faith in the gospel of Christ. These and similar statements in Paul's writings lead many to think that Paul rejected the relevance and authority of the Old Testament and replaced it with Christian faith and the Holy Spirit. In fact, the argument often goes, to see the Old Testament as relevant for daily Christian living is to turn from the gospel. All who rely on observing the law are under a curse, for it is written: "Cursed is everyone who does not continue to do everything written in the Book of the Law." Clearly no one is justified before God by the law, because, "The righteous will live by faith." The law is not based on faith; on the contrary, "The man who does these things will live by them." Christ redeemed us from the curse of the law by becoming a curse for us, for it is written: "Cursed is everyone who is hung on a tree" (Galatians 3:10-13). As this passage makes clear, Paul opposed those who relied on obedience to the law for their salvation. He opposed those who wanted to be justified by the law. When this is our religious practice, we are cursed because we will never obey perfectly. The only way to escape this curse is through faith in Christ who took our curse upon himself. The righteous will live by faith (Habakkuk 2:4). According to Paul, the Christian gospel of salvation by faith alone was actually true to the teaching of the Old Testament. Now that we have seen that Paul's apparently negative comments about the Old Testament were actually negative comments about the misuse of the Old Testament as a system of works righteousness, it will help us to see that the apostle strongly affirmed the authority and relevance of the Old Testament for the followers of Christ. For everything that was written in the past was written to teach us, so that through endurance and the encouragement of the Scriptures we might have hope (Romans 15:4). According to this passage, the Old Testament is essential to developing and maintaining our Christian hope. As we read stories, psalms, the promises and judgments of the Old Testament, our hope in Christ will grow. Most Christians are familiar with this verse, but we often imagine that the words "all Scripture" refer to the New Testament. Well, there is no doubt that these words have implications for our outlooks on the New Testament, but when Paul wrote to Timothy elsewhere about "Scripture," he had in mind especially the Old Testament. So, listen to the wonderful things that the Old Testament is able to give us. The Old Testament is able to teach, rebuke, correct, and train in righteousness, for every good work. In a word, Paul said the Old Testament was so relevant that it is nearly indispensable to Christian living. So, as we begin our study of the Old Testament, we must not only acknowledge the distance that is between us and the Old Testament. We must also see that the New Testament calls us to have high expectations of the Old Testament's relevance for us today. To study the Old Testament is not to spend time on something irrelevant; to study the Old Testament is to study the book that is able to make us wise for salvation. At this point in our lesson, we will turn to our third main topic: how to apply the Old Testament to our day. To explore the application of the Old Testament to modern Christians we will touch on three topics: we will explore, first, the challenge we face as we try to apply the Old Testament; second, the connections that make it possible to apply such an old book to our day; and third, the developments that we must take into account as we apply the Old Testament. What is the challenge that we face as we try to understand and apply the Old Testament to our lives today? There are many ways to describe this challenge, but we will focus our attention on one central concern: we must learn how to bridge the gap between ourselves and the Old Testament. We must learn how to overcome the distance that separates us from the Old Testament so that we may make use of its relevance for us today. Let's put this matter as plainly as possible. As we have seen, God gave the Old Testament to his people who lived long ago so that they could live for him in their times. But as we have also seen, he gave the Old Testament to us so that we could live by it as well. But we live in a world that is very different from the Old Testament. So, for this reason, there is a gap, a large chasm between us and the Old Testament, making it difficult for us to know how to apply the Old Testament to our lives. So, if we are to apply the Old Testament to our day in a responsible manner, we must deal with three things. First, we must understand the ancient world to which the Old Testament originally came. Second, we must cross over the historical distance between us and the Old Testament, paying attention to the ways our world differs from the world of the Old Testament. And third, we must bring what we learn in the Old Testament across the gap and apply it to ourselves and others living today. These things happened to them as examples and were written down as warnings for us, on whom the fulfillment of the ages has come (1 Corinthians 10:11). Now notice that Paul said at least three things here that are important to us. First, he spoke of the events and writings, "these things happened… and were written down." Second, Paul spoke of himself and his fellow Christians at Corinth when he said, they "were written down as warnings for us." And third, Paul referred to a gap between the Corinthians and the ancient events and writings when he described Christians as those "on whom the fulfillment of the ages has come." These words indicate that Paul clearly understood that New Testament believers live in a different time than that of Old Testament believers. We stand at the end, in the times of the fulfillment of history. From these words of the apostle, we see the challenge of application is that we must be ready to deal with that ancient world, with the gap of time between us, and with our modern world. In the first place, proper application of the Old Testament to today involves leaving our own world behind. One of our principal tasks is to interpret the Old Testament in its own terms. Now, of course no one can do this perfectly. We cannot get out of our modern perspectives completely. Yet, we all know the difference between pretending that an ancient book was written directly for us and sincerely trying to read a book within its own historical context. Every serious student of the Old Testament must grapple with the fact that we are reading and applying a book that was specifically tailored to people who lived thousands of years ago. In a very important sense, we are not hearing God and his inspired writers speaking directly to us; we are overhearing them speaking to others. For this reason, at some point we must always ask what these Scriptures meant originally. The original meaning of Old Testament passages established the initial direction of what God wanted his people to learn from the Old Testament. What were their priorities? What did they believe? What were their situations? How did they understand the Old Testament passages in view? In the lessons that follow in this series we are going to learn how to read the Old Testament by going back to the world of its original writers and audiences. In the second place, to apply the Old Testament properly we must look carefully at the times between the Old Testament and our day to see the kinds of connections and developments that took place in biblical faith. As we will see, the teachings of the Old Testament developed and grew over time. It was not as if God said something to his people once and never said anything related to that topic again. On the contrary, during the historical chasm between the Old Testament and our day, God revealed much more. Some of this increased revelation appears in the Old Testament itself and some of it appears in the New Testament. But in all cases, to bridge the gap we have to take into consideration everything that God has said. In the third place, the challenge of application is that we must also be firmly committed to the idea that the Old Testament was written with future generations in mind. As Paul put it, the Old Testament was "written for us." This fact requires us to give attention to the responsibilities we have as believers in the modern world. The needs of God's people today are similar in many ways to those of people in the past, but they are also new and different. If we are going to apply the Old Testament today effectively, we must be aware of ourselves and of those to whom we seek to apply it. Now that we have seen the challenge that faces anyone who wants to apply the Old Testament to our day, we should turn to our second concern in the subject of application: what are the lines of connection that make it possible for us to take teaching from the world of the Old Testament across the historical gap and into our contemporary world? What commonalities make this possible? For any book to have relevance for someone's life there needs to be some kind of connection between the reader and the content of the book. Somehow there must be enough in common between what the book says and what its readers experience in their own lives for the book to be applicable. This is true of books in general and it is also true of the Old Testament in particular. So, at this point we need to ask, what connections exist between the Old Testament world and our world that make it applicable or relevant for our lives today? There are many ways we could catalogue these connections, but I have found it helpful to think in terms of three things we have in common with the original audiences of the Old Testament. Specifically, we have the same God, we live in the same world, and we are the same kind of people. Let's unpack these three lines of connection. First, as we study the Old Testament together we should always be mindful of the fact that the God of New Testament Christians is the same God we read about in the Old Testament. Faithful Christians today worship and serve the same God that faithful ancient Israelites served even before Jesus was born. The fact that we serve the same God establishes very important connections because the Scriptures teach that God is immutable or unchangeable. He is the same today as he was back in ancient times. Now, we have to be careful here. The Bible teaches that God is immutable, but only in certain ways. Immutability does not mean that God does nothing; it does not mean that he is immobile. Instead, as traditional Christian theology teaches, there are three main ways in which God is immutable. He does not change in his eternal counsel, in his character or attributes, or in his covenant promises. Let's unpack these ways in which God's immutability ensures that he is the same now as he was in the days of the Old Testament. I make known the end from the beginning, from ancient times, what is still to come. I say: My purpose will stand, I will do all that I please (Isaiah 46:10). In these lessons we will explore the goal and direction of this eternal plan in some detail, but at this point it will suffice to say that the immutability of God's eternal plan teaches us that his purposes in the Old Testament align with his purposes in the New Testament. No matter what differences we see, the two testaments do not represent two different plans, one replacing or contradicting the other. On the contrary, the Old Testament and New Testament are phases or steps of one unified plan that has and always will move history toward one unchanging goal. In the beginning, O Lord, you laid the foundations of the earth, and the heavens are the work of your hands. They will perish, but you remain; they will all wear out like a garment. You will roll them up like a robe; like a garment they will be changed. But you remain the same, and your years will never end (Hebrews 1:10-12). Our God does not change; on the contrary, his character always remains the same. Unfortunately, we live in a day when many Christians have doubted the consistency of God's character. They act as if he has one set of attributes early in the Bible and then another at a later time. I can remember as a 6-year-old child hearing my Sunday school teacher teach us about Joshua's battle at Jericho. When she had finished telling us the story, she looked at us all around the room and said, "Boys and girls, God was very mean in the Old Testament. He even wanted children to die back then. But God has changed now. In the New Testament he loves everybody. Aren't you glad you live in the New Testament rather than in the Old Testament?" And, of course, we were all very glad for this. None of us wanted to be killed like the children of Jericho. Now, as well-meaning as my Sunday school teacher was, she had made a serious mistake. God's character has not changed since the Old Testament. On the contrary, he is just as full of judgment in the New Testament as in the Old Testament. And he is just as loving in the Old Testament as in the New Testament. God's character has always been and always will be precisely as it is right now. He is unchanging. The immutability of God's attributes also gives us reason to believe that the Old Testament is relevant for our lives today. Despite the fact that on the surface many of God's outward actions in the Old Testament look very different from his actions in the New Testament, we must affirm with the teaching of Scripture that God's character has never changed. Every action he took in the Old Testament reflected his character, and because his character has not changed a bit, we can be confident that his actions in the New Testament period are also harmonious with his eternal nature. If Old Testament believers and New Testament believers have the same God with the same attributes, we should expect to see similarities between the ways God related to Old Testament believers and the way he relates to New Testament believers. And these similarities make the Old Testament relevant for our lives. Because God wanted to make the unchanging nature of his purpose very clear to the heirs of what was promised, he confirmed it with an oath (Hebrews 6:17). This is what the Sovereign Lord says: I will deal with you as you deserve, because you have despised my oath by breaking the covenant. Yet I will remember the covenant I made with you in the days of your youth, and I will establish an everlasting covenant with you (Ezekiel 16:59-60). We have to admit that from time to time it appears that in the New Testament God has forgotten or set aside some of his promises. But the reality is this — when we understand Scripture properly, remembering that God does not change, we will find that every covenant promise is or will be fulfilled. For this reason, we have good reason to believe that the Old Testament can be applied in profitable ways to us as followers of Christ in the New Testament age. God made many promises to Old Testament believers, and we can be sure that in the New Testament he is keeping those promises. Now that we have seen that the Old Testament and New Testament are connected by the fact that both testaments have the same immutable God, we should turn to the second type of connection between the faith of the Old Testament and our Christian faith today — the fact that we live in the same world. In a word, the Old Testament comes from and describes the same world in which you and I live today. The faith of Old Testament believers did not grow in another universe. It developed here on this planet, so that we share with it a common history and a common set of circumstances. And these facts should lead us to see at least two kinds of connections between our New Testament faith and the faith of the Old Testament. First, the Old Testament provides backgrounds that explain many of our current experiences. And second, the Old Testament describes situations that parallel many of our current experiences. Let's explore what we mean when we say that the Old Testament provides historical backgrounds to our experiences of faith. One of the most obvious yet remarkable features of the Old Testament is that it reports countless events and teachings that form backgrounds to events and teachings in the New Testament period. Old Testament events did not take place in a vacuum, they were not fictitious; they happened in real history and many of them left indelible marks on the world for all time. For example, the Ten Commandments given to Israel in the book of Exodus provided essential background for the moral teaching of the New Testament. In a similar way, God's choice of David as the head of a permanent dynasty for God's people provides the historical background for Jesus' ancestry as the great son of David. The historical fact of Israel's exile to foreign lands gives the background for Jesus' proclamation that he came to set the captives free. In these and countless other ways, the Old Testament is relevant for living in the New Testament age because of the historical background it provides. Now, in the second place, the Old Testament is also relevant because events in the Old Testament parallel those of our Christian faith. We all know the adage that "history repeats itself," and we understand that many events often look very much like other events that have taken place in the past. Like Old Testament believers, we live in a world created by God, but fallen into sin. The faithful in the Old Testament faced opposition from other people and from demonic powers, and we face the same opposition today. They depended on God's help to overcome; we depend on his help as well. The parallels between the Old Testament world and our world are extensive. Once we look beyond the superficial dissimilarities, we can see that we live in circumstances that are very similar in many ways to those of Old Testament writers and their audiences. In the third place, we may also find a line of connection between the Old Testament and our day in the fact that we are dealing with the same kind of people. Although there are many superficial differences between the ancient peoples of the Old Testament and modern people, there are also fundamental continuities that connect us with the people who lived during the days of the Old Testament. There are at least three ways in which we are the same kind of people: all human beings are the image of God; we are all fallen into sin; and human beings are divided between those that are and those that are not in covenant relationship with God. With our tongue we praise our Lord and Father, and with it we curse men, who have been made in God's likeness (James 3:9). Man… is the image and glory of God (1 Corinthians 11:7). Though we will have much more to say about what it means to be the image of God in a later lesson, it will suffice at this point to say that we have a number of characteristics that, to one degree or another, are common, if not universal, for all human beings. In the past, the church has focused attention on the fact that human beings are rational, that we have special linguistic abilities, and that we are moral or religious creatures. From this biblical perspective, we can see that we must be careful not to overstate the differences between people of the Old Testament and modern people. Beneath the surface, we who live today are not very different from those ancient people. Although we are not exactly like them, we can assume that the rational, linguistic and moral qualities that dominate our lives were also present in theirs. And for these reasons, we can have much confidence that the Old Testament can be successfully applied to our day. The people who wrote it and to whom it was written were the image of God just like we are. All have turned away, they have together become worthless; there is no one who does good, not even one (Romans 3:12). There is no one who does not sin (1 Kings 8:46). Because we and Old Testament people share the common quality of being fallen images of God, it is not difficult for us to grasp the propensity of Old Testament people to turn from God to sin. It is not difficult for us to understand why Old Testament writers focused so much on sin and its corruption. We connect with the Old Testament on this level because we know that we are sinners much like the original recipients of the Old Testament. And the Old Testament focuses on the redemption of sinners much like the New Testament does as well. What God said to the sinful people of Old Testament times is quite relevant for sinners living today. You will be for me a kingdom of priests and a holy nation (Exodus 19:6). You are a chosen people, a royal priesthood, a holy nation, a people belonging to God (1 Peter 2:9). Although there are differences between God's people in the Old Testament and New Testament, there is still an abiding line of connection. Humanity is still divided in terms of relationship with God. There are many ways to describe the divisions of humanity. One very helpful way is to notice that throughout the Bible God distinguishes three groups: first, those who are lost because they are outside of covenant with God; second, those in covenant with God who are still lost, not saved from their sins; and third, those in covenant with God who are justified by faith and eternally saved. These three groups of people existed in the Old Testament and they also exist in the New Testament period today. Because of these parallels, we are right to expect the Old Testament to be relevant for us. The human race is divided in our day as it was in the days of the Old Testament. And as a result, God's word to Israel is his word for us. So it is that as we approach applying the Old Testament to our day, we should remember that at least three major lines of connection exist between us and the Old Testament — we serve the same God, in the same world and as the same kind of people. Now that we have seen how the same God, the same world and the same kind of people connect us to the Old Testament, we should also turn our attention to the developments that have taken place between the Old Testament and the New Testament.  We could approach this topic in a number of ways, but we will simply follow the pattern established by the three lines of connection. We will see how there have been epochal developments, cultural developments and personal developments. Unfortunately, we live in a day when there is much confusion about the kinds of epochal considerations that must be made as we apply the Old Testament to our lives today. Many Christians rightly believe that the Old Testament applies to us, but they have different ways of applying the message of the Old Testament to our age. Although there are many variations on these matters, it helps to think of three main tendencies. On one end of the spectrum are several extreme positions that promote a segmented view of biblical faith. These Christians stress the differences between the various epochs or ages of Scripture. In fact, they focus so much on the differences between the Old Testament era and our own day that they tend to apply to modern believers only those things in the Old Testament that are repeated in the New Testament. So long as the New Testament does not comment on an Old Testament teaching or practice, these Christians assume that the Old Testament does not apply. On the other end of the spectrum are several extreme positions that promote a flattened view of biblical faith. These Christians focus on things that have remained the same between the various ages of Scripture. 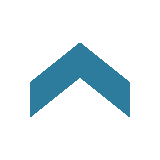 In fact, they consider the Old Testament and New Testament to be so unified that so long as the New Testament does not comment on an Old Testament teaching or practice, these Christians assume that the Old Testament should be followed as closely as possible. In these lessons, we will avoid both of these extremes by following an approach to the ages of Scripture that looks at biblical history as both unified and developing. Our outlook tries to give equal attention to the ways things have stayed the same and have changed throughout the Bible's history. We will assume that all of the Old Testament is relevant for us, but also that every dimension of the Old Testament has developed. We will not treat any of the Old Testament as inapplicable or irrelevant to our day, but neither will we apply any Old Testament teaching without taking into consideration what God has revealed in the New Testament. Instead, all the teachings of the Old Testament must undergo epochal adjustments by passing through the filter of the New Testament. In a word, the developmental model teaches that the whole Old Testament is relevant and authoritative for us, but also that the whole Old Testament must be applied in the light of the New Testament. The law was our disciplinarian until Christ (Galatians 3:24, NRSV). Old Testament faith was like the instructions given to a child; New Testament faith is like the instructions given to an adult heir. Now, think about this analogy that Paul used to describe the development of biblical faith. Normally, we give an appropriate set of rules to young children: "Don't go in the street. Don't touch the stove." But when children become adults, we don't expect them to stay out of the street or to stay away from stoves anymore. After all, they are adults. But we do expect adults to remember the wisdom that childhood rules were designed to teach. We expect adults to remember that roads and stoves are dangerous and to be approached with care. For an adult to be bound by the same rules in the same way as a two-year-old is foolish. But it is just as foolish to forget the wisdom of the two-year-old's rules. As we will see in these lessons, much the same is true for biblical faith. In many ways, the Old Testament resembles rules given to a young child. It is designed appropriately for the spiritual condition of the people of Israel in the Old Testament days. Now, as New Testament believers we may go in two foolish directions. First, we may try to go back to the days of the Old Testament and to imitate Old Testament faith as if we lived in the Old Testament days ourselves. But this would be to deny Christ and his great work of salvation. And second, we may be tempted to say that the Old Testament has nothing for us anymore, now that we are New Testament believers. But this is also wrong. The Old Testament has much to teach us about our Christian faith. The developmental model of biblical faith teaches us to appreciate and to submit to the authority of the Old Testament, but to do so as those upon whom the fulfillment of the ages has come. In the second place, to comprehend the Old Testament in our day, we must consider cultural developments. If we hope to connect our lives with the text of the Old Testament Scriptures, we must take into account the variations between the cultures represented in the Old Testament and those of our own world. To acknowledge cultural developments, we must be concerned, on the one hand, to see cultural similarities between ourselves and the Old Testament. What cultural patterns do we face that closely parallel Abraham's experience? How is our culture like David's? And on the other hand, we must be concerned to see the cultural differences that exist. How has human culture significantly changed from the ancient societies of the Old Testament? What customs and practices are different? We must answer these questions, and make appropriate cultural adjustments to the Old Testament's message, as we apply the Old Testament to modern life. In the third place, to apply the Old Testament in our day, we must make personal adjustments. We must consider people in the Old Testament and people in our day. There are considerable similarities between the people of the Old Testament and people living in our contemporary world, but we must also recognize that many dissimilarities exist between modern people and ancient people. If we hope to apply the ancient texts of the Old Testament properly, we must take into account these personal variations. For example, we all need to ask questions like these. How do our personal lives compare with those that we see in the Old Testament? What roles do we have in society? What is our spiritual condition? How are we serving the Lord compared to this Old Testament character or that Old Testament character? How do our thoughts, actions and feelings compare to those that we see in the Old Testament? By taking account of the variations between ancient Old Testament people and modern people, we can better understand how to apply the Old Testament in our day. As we continue in these lessons, we will see time and again that we must be ready to go from the Old Testament to our day by taking into account the epochal, cultural and personal developments of particular themes in the Old Testament. If we do not pay special attention to these matters, we will fail to handle the Old Testament as God would have us handle it. In this lesson, we have explored why it is important for Christians to study the Old Testament. We have acknowledged the distance between ourselves and this ancient book, but we have also seen that the New Testament strongly affirms that the Old Testament is relevant for us. It still holds authority to guide our Christian living. And finally we noted the processes that go into applying the Old Testament to our day. We must always be sure to account for the ways themes of the Old Testament have developed over time and how they are to be used in the modern world. We have touched on only a few preliminary but extremely important issues in this lesson. As we continue with this survey of Kingdom, Covenants and Canon of the Old Testament , we must always keep these thoughts in mind. As we do, we will find that the Old Testament is a wonderfully rich source of spiritual strength that God has provided for his people in every age.